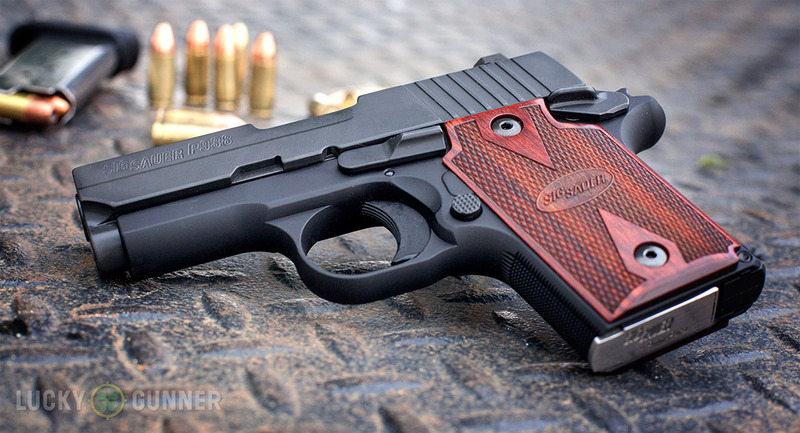 Coming on the heels of their success with the single action P238 in .380 ACP, Sig Sauer released the 9mm P938 back in 2012. 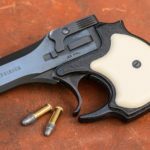 Then, at SHOT Show this year, we saw that Sig had a .22 LR version of the P938 in the works, and a few months ago they revealed that there would also be rimfire conversion kits available for existing 9mm P938 pistols. 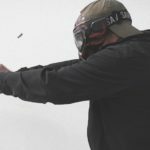 I’ve been getting in some range time with the P938 recently, and we were able to pick up one of the conversion kits when Sig quietly released them a few weeks ago. 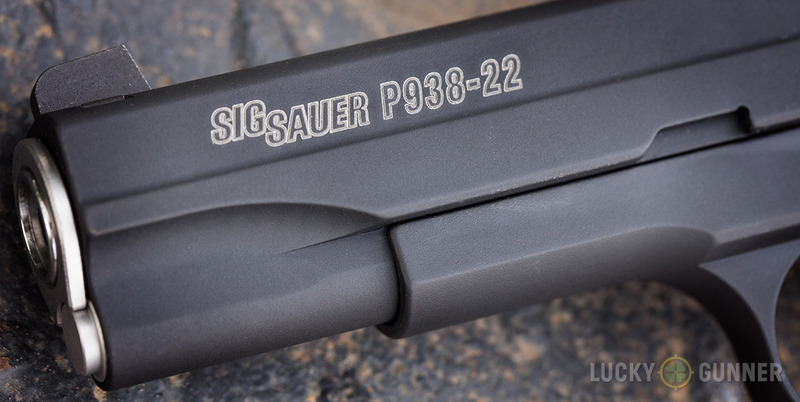 With a few trips to the range with the pistol under my belt, I was able to to put together the video review of the Sig Sauer P938 with 22 LR conversion kit that you’ll see below below. 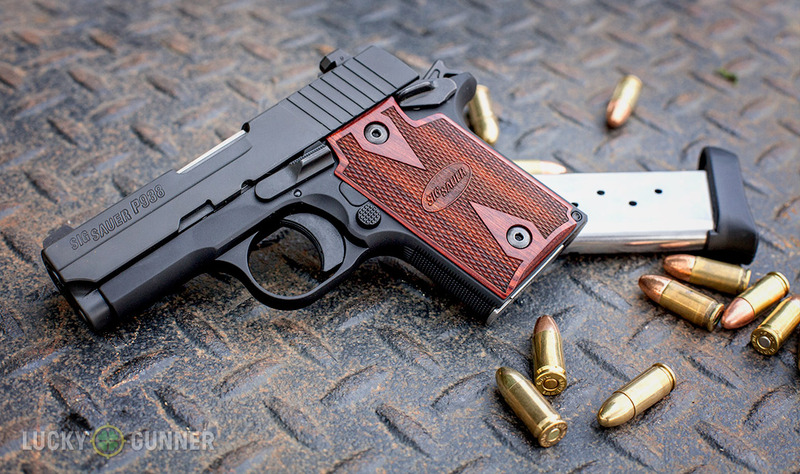 The 9mm P938 comes standard with one 6-round flush fit magazine. 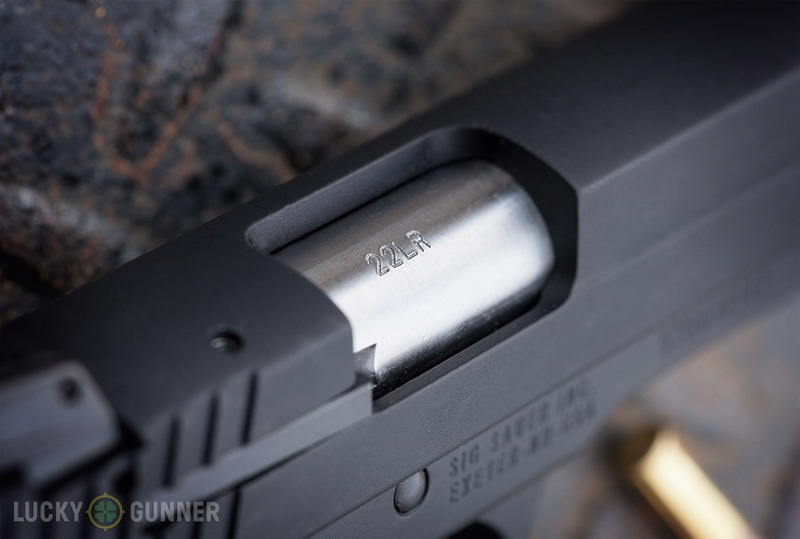 7-round mags with an extended baseplate are also available from Sig. The slide for the .22 LR conversion kit is made from annodized aluminum, and perfectly matches the finish of the original frame. The rimfire conversion kit is available with a 3.3″ barrel and night sights, or the “target” version (pictured) with a 4.1″ barrel and adjustable 3-dot sights. 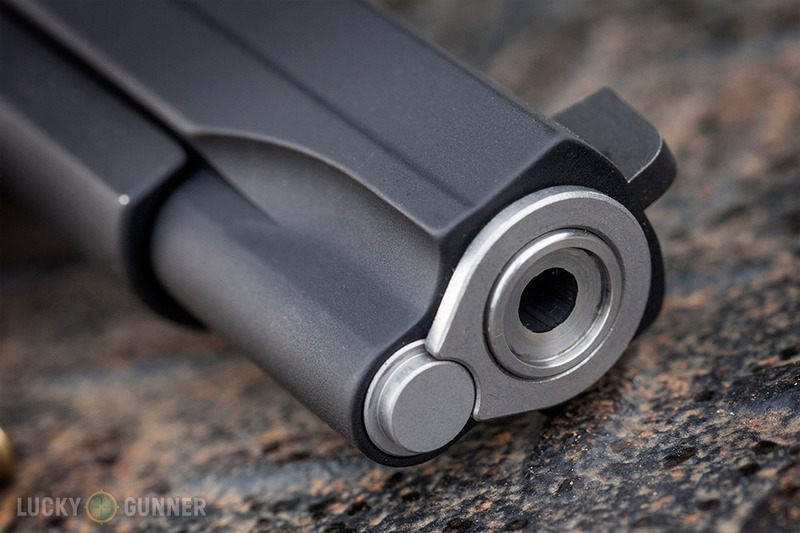 Unlike the 9mm version, the .22 kit uses a barrel bushing and guide rod plug. 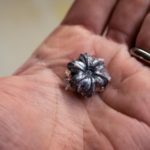 The .22 LR barrel has a stainless finish. 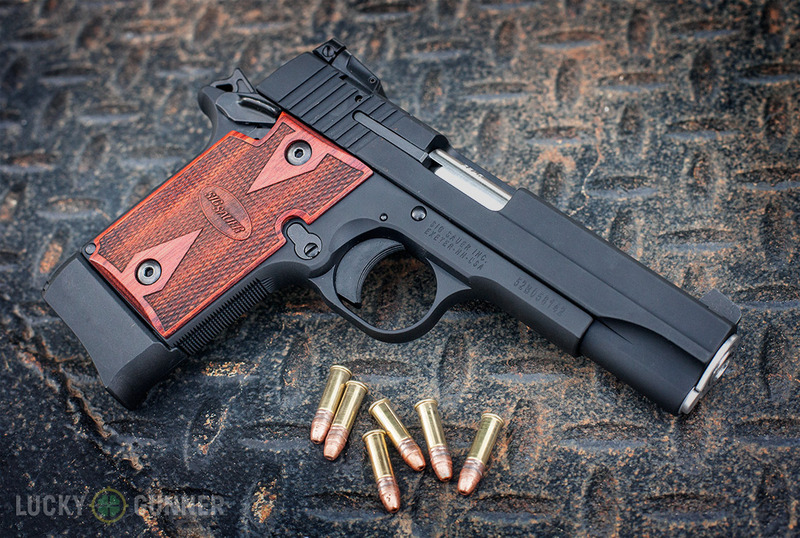 Several versions of the P938-22 are also available as complete pistols, including threaded barrel variants. 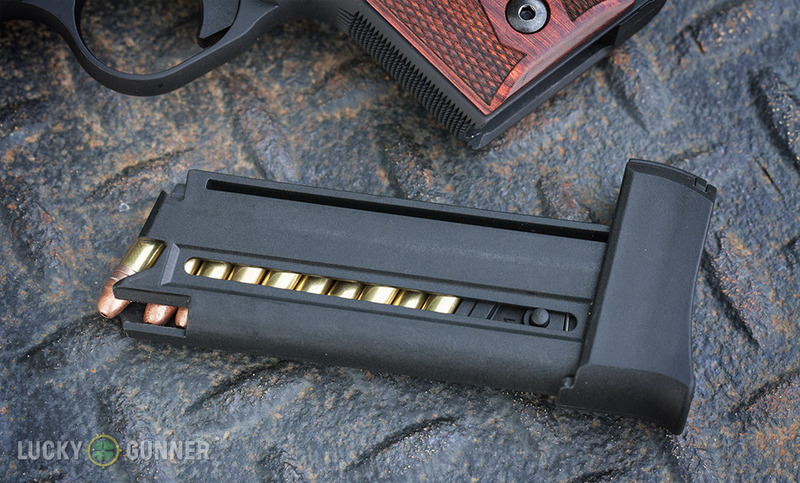 The 10-round magazine for the rimfire kit is made almost completely from polymer, except for the spring. Pro Tip: Rusty diamond plate might not be the best surface on which to rest the finish of your P938. Don’t ask how I know.